These might just be the easist Easter eggs to make on the planet! 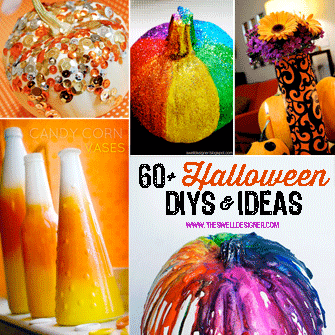 And they are so, so sparkly and super fun for a little centerpiece or to display as an easy décor accent. 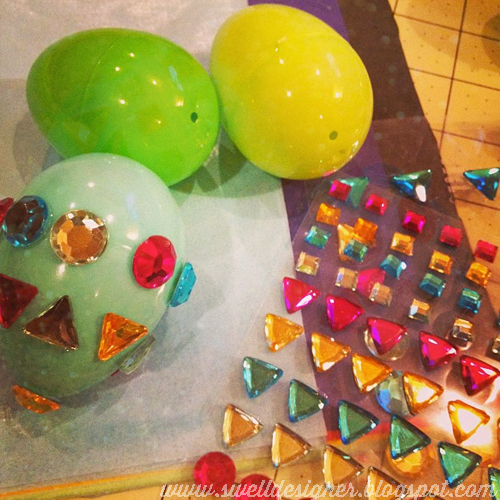 You just need some inexpensive plastic Easter eggs and some stick-on rhinestones! I liked this super pretty set from the Target craft aisle. 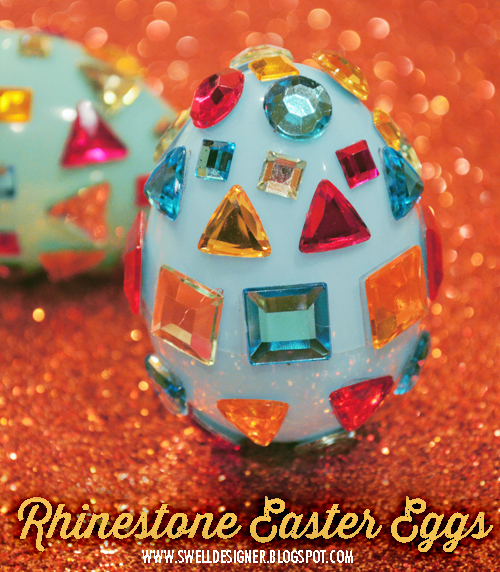 Other than that, you need to arrange the rhinestones in a pattern around your egg in color or shape order. You could also mix it up and do all of one size of rhinestone or apply the rhinestones like polka dots. It’s up to you and your creativity! I did end up using the rhinestones pretty fast and kinda wish I got another set. 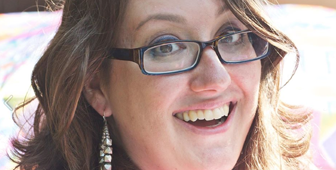 Just an FYI if you plan on making quite a few. I decided to set mine on a bed of glitter paper! 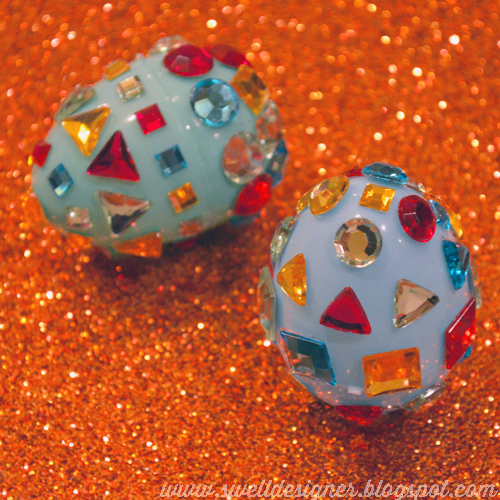 I think these could also look pretty on a glitter dish or in a glitter accented jar. I’m not sure I can handle all the bling! It’s giving my eyes sparkle overload! !